Open all year round, (but at a comfortable temperature from May to October!) the pool of the Hotel Napoleon is now by a completely ecological and environmentally friendly solar heating system. Around the pool, you can relax at the tables or on the sun loungers provided for your comfort while sipping a refreshing drink, then maybe slip into the pool to enjoy a cooling and reinvigorating dip. 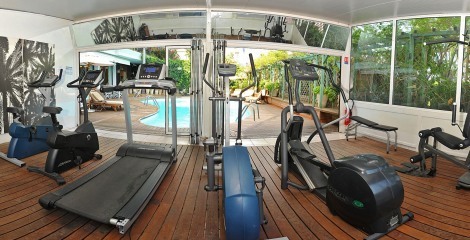 The Hotel Napoleon has its own gym, which looks over the pool and offers an ideal setting for your daily fitness regime. We have elliptical, weight bench and floor mat, everything you might need to stay fit or just take a little light exercise to stay in trim while on holiday. Designed and created by Arnaud Maurières and Eric Ossart, the garden of the Hotel Napoleon is a tribute to the work of the Brazilian landscape architect Roberto Burle Marx. 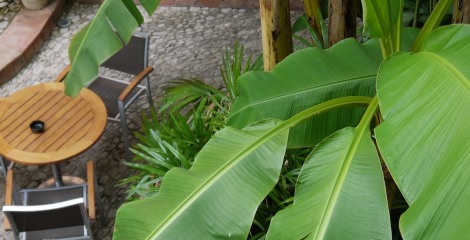 The tranquility of a space that is both chic and rustic and filled with banana plants and other exotic species promises visitors a decidedly Zen experience. 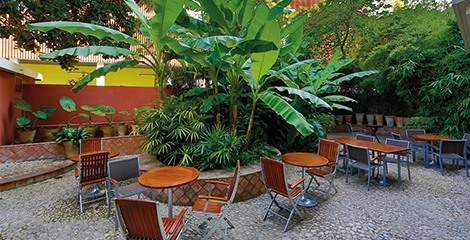 The Biennial Lounge and the garden of the hotel are your delightful settings each morning from 7:30 to 10:30 for a breakfast which is delicious, nutritious and plentiful. Our continental buffet includes hot drinks, fruit juices, fresh fruit salads, pastries freshly baked on site, homemade jams and a wide selection of dairy products, cheese and charcuterie. If you prefer, you can enjoy your continental breakfast in your guest room or, if you are eager to begin your day, in our express breakfast bar. Comfortably installed in our Lounge Bar, you can choose from a wide range of hot and cold drinks at any time throughout the day. A coffee in the morning, an aperitif in the evening, something light and refreshing after dinner, the choice is yours. 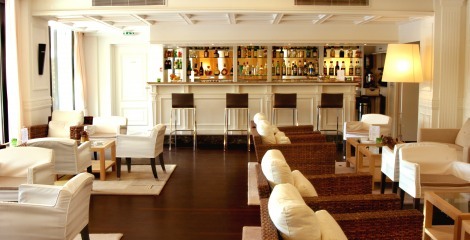 Whether you are in the mood for a pick me up, a leisurely cocktail or a social drink with friends, the bar of the Hotel Napoleon is the ideal place for you to take your ease. Seminars, meetings, cocktail parties and other events can be organized in the Cocteau room, which overlooks the garden and can accommodate fifty guests. The Hotel Napoleon has all the necessary technical equipment and can also provide the facilities for a buffet or a coffee break. The Napoleon Hotel has chosen to adopt a system of environmentally responsible behavior through selective daily sorting and segregation of waste, minimizing the systematic cleaning of towels, equipping sinks with flow regulators, linking lighting systems to motion sensors and heating the pool water in a natural way. 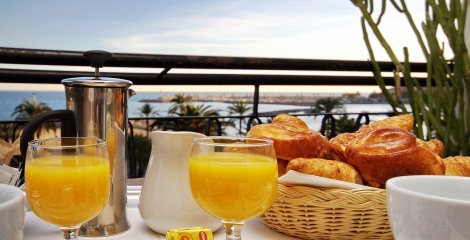 Hotel Napoleon is equipped with an elevator and the common areas are fully accessible to wheelchairs. Many accessories, such as enhancers, grab bars, handles for bathtub access or shower stools are also installed in the our two accessible rooms (one sea view, one mountain view) to provide guests with the maximum comfort and autonomy.